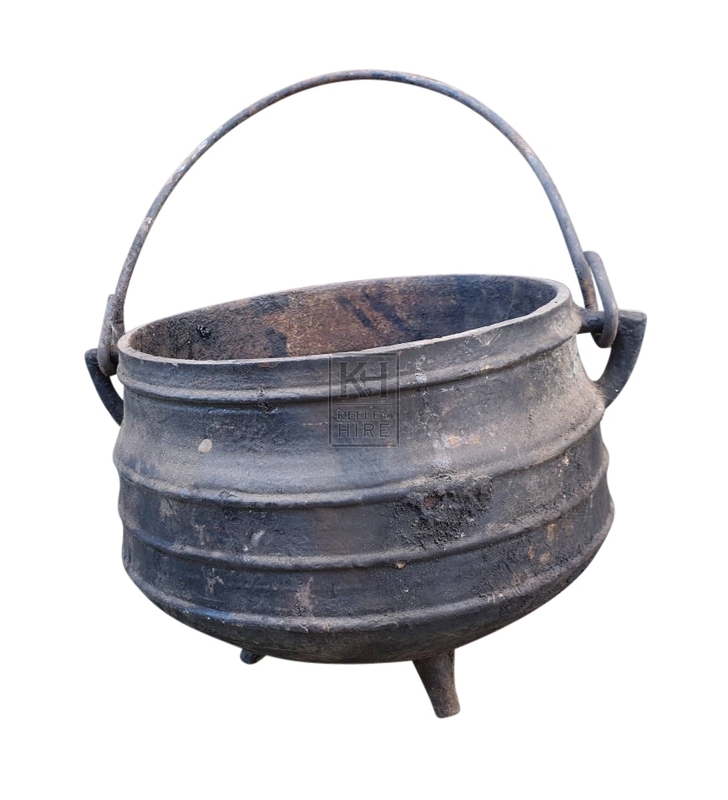 Description Cast iron ribbed cauldron / cooking pot. 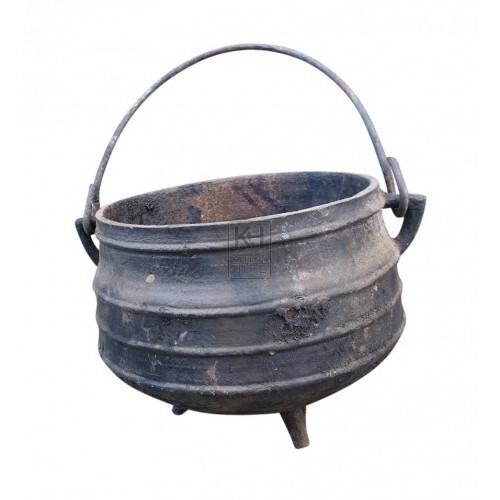 A wonderful prop for a Halloween Event or Witchcraft scene. These items vary in size.